Gurus are the pillars of any institution. We are blessed by our ancient Yoga masters, Spiritual Gurus and Saints. Our yoga teachers have spend their life in learning and spreading yoga and spirituality. Yogi Shiva, the founder of Shiva Darshan Yoga Center was born and brought up in Dharamsala. He developed an incredible affinity to yoga and meditation since a very tender age. 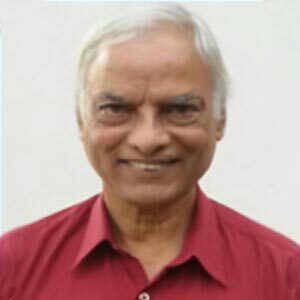 He is known to have learn yoga from renowned yoga masters of India from then on.He has been teaching yoga since 22 long years. His extended experience in the field of yoga made him the master of Ashtanga yoga and hatha yoga apart from an array of other yoga styles he had learnt. 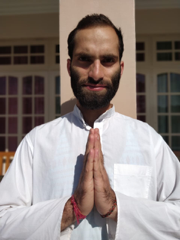 He specialized in the field of yoga and got certified as ERYT – 200 by Yoga Alliance US.For him yoga is not a part of his life but his own way of living. Yogi Shiva inspired a number of yoga aspirants through his teachings. He teaches yoga from the perspective of a student rather than a teacher. This approach makes him stand aloof from the crowd. 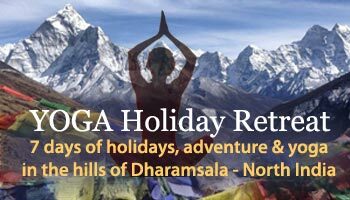 This is the main reason which makes Shiva Darshan yoga a top rated yoga training institute in Dharamsala. This approach enables a yoga trainer to perceive the training through the eyes of a student, so that he can thoroughly understand the difficulties the student might face which would eventually be helpful in training his students. Swami Sachidanad started his spiritual journey in very early age . He spent plenty of time in mediation even in this early age. He graduated in Philosophy from Kurukshetra University in Haryana and did Post graduation from Punjab University (Chanidigarh) , India . 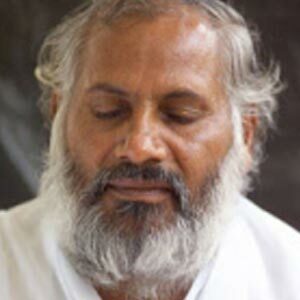 During his studies he learned some Basic Yogic Kriyas , Pranayama and meditation from Swami Vinodanand ji. traveling across Northern India. Swami Sachidanand is well known for his Divine Yoga( Traditional Hatha Yoga ) and Sanjeevani Shakti Kriya (SSK ). SSK is a Unique, Powerful Breathing Meditative Technique. He has traveled all around India, Nepal, China and Europe (Switzerland, England ,Germany, Italy, Czech Republic , Slovakia etc. ) conducting seminars, workshops, satsangs and sharing his wisdom and teachings. 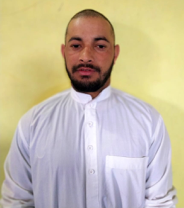 He has been invited to different Institutions, company’s team buildings, prisons and has helped in shaping the life of thousands of others who has attended his workshop. 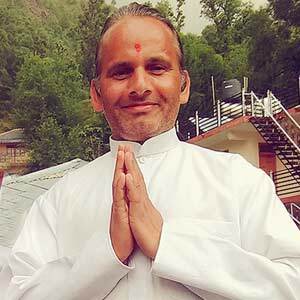 Swami Veet Ashok is a meditation teacher and practitioner since two decades. The whole tradition of yoga and tantra has been assimilated in practical techniques.and the approach is in immersing the student into direct experience of what meditation is and also in offering clarity in what is not meditation.students are always welcome to have interactive sharing sessions, meditation being a very subjective experience. He is one of our most versatile meditation / spiritual teacher guiding us the real path of happiness and oneness. 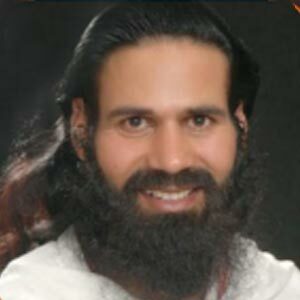 Benu Ji, is trained from Bihar school of yoga in yoga and pranayama and also as a Yoga Teacher in alliance courses. 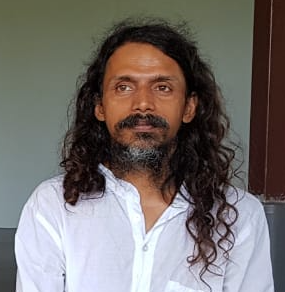 Completing near fourteen years of his teacher carrier in both 200 and 300 Hours Yoga Teacher Training Course in more than seventeen Yoga Schools in India and Thailand. He has trained thousands of Students in Yoga. Served in various ashrams around the world and trained under various modern Gurus. Conducts various retreat programs around the world. Yogi Santosh is a young yet well-known name in the field of Yoga Teacher Training. The youthful yoga enthusiast has been spreading the impeccable knowledge of yoga amongst students for a span of a few years now. Yogi Santosh has pursued the Yoga Instructor Course from Svyasa Bangalore in the year 2015. He also accomplished the Master Diploma in Yogic Science from Bharat Sevak Samaj in the Year 2016. Yogic Santosh specializes in the Hatha and Ashtanga Yoga. 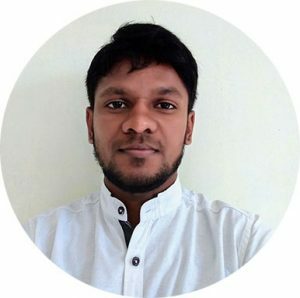 He conducts effective classes on Hatha and Ashtanga Yoga along with the perfect breathing techniques, adjustments, and alignments. Amit hails to from a small village of Himachal Pradesh- the land of saints, spiritual seekers and wanderers. Born to a middle-class family. Influenced by the surrounding he started his practice at an early age, he slowly devoted his time and energy to yoga practices. He studied Asanas and philosophy of yoga. 5 years of self-practice and 3 years of teaching experience. Having spent a couple of years with his masters, being exposed to different styles of adepts and teachers from all over the world he grew his deep understanding and experience. This helped him to develop his unique vigorous teaching style that blends traditional/Classical hatha yoga with alignments & use of props. He teaches Hatha yoga, Ashtanga Yoga, Vinyasa Yoga, Yang Yoga & Yin Yoga and the Art of Teaching (lecture). Shiva Rathore comes from a spiritual family in the forest of himalayas. He completed his school in himachal pradesh north India. He is trained in acro yoga,kalaripayatu martial art,hatha yoga. He did 200hrs of yoga ttc at shiva yoga darshan. He started practicing yoga from his childhood. He completed his graduation from punjab university. He worked as fitness trainner in many institute. He has more than 5 years of teaching experience. He can teach Acro yoga, aerial Yoga & Yoga therapy.